From $110. Any size. Click for price list (2Mb). Generally the site specific Ikebana work of over $400 will be created at the site. Our process is as follow: (1) site visit, (2) design proposal & quote, (3) payment and (4) installation at the site. 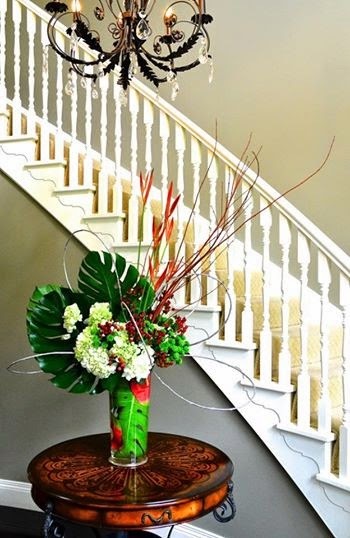 Flower delivery is a quick and easy option to enjoy Ikebana for your special occasions. Compared to the above display option A, the designs & sizes of the work may be limited due to the practical reasons. 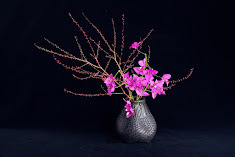 Some Ikebana works, particularly large ones are impossible to transport. We will design an original card for you to send with flower (Additional $30). Click for price list (2Mb). This popular option is often the combination of above A & B. Some parts of works are already made and the others are often added on the site. There are many options for the choice of container. Recommended options for the first time user are 1 and 4. 1. Plastic give-away container: Available with arrangement from $110. 2. Ceramic or glass container with deposit (free hiring cost but needs to be returned): Available with arrangement from $110. Popular option for regular clients. 3. Buy ceramic containers with additional cost. Available with arrangement from $110. 4. Ceramic give-away container: Available with arrangement from $250. 5. 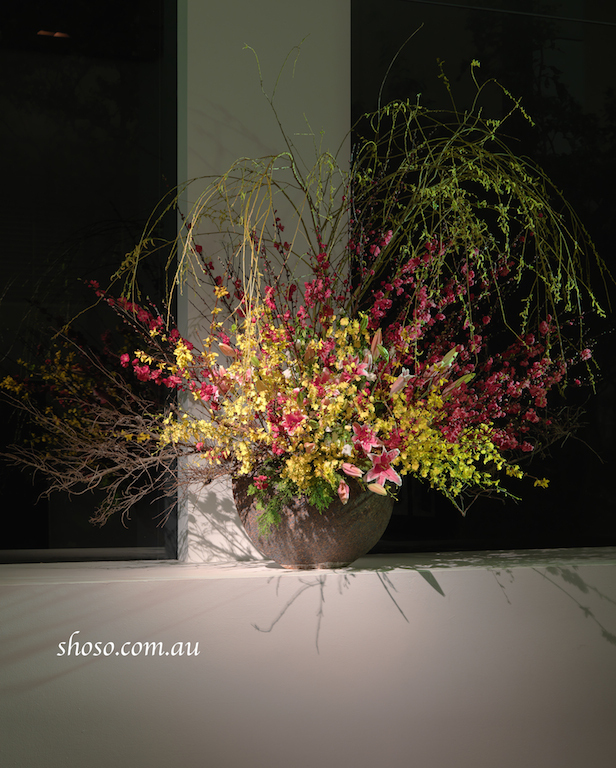 Ikebana container for hiring: Available with arrangement from $300 plus hiring cost form $50 per week (1 to 7 days). 6. If you would like Shoso to use your container, please consult with Shoso. Available with arrangement from $150. 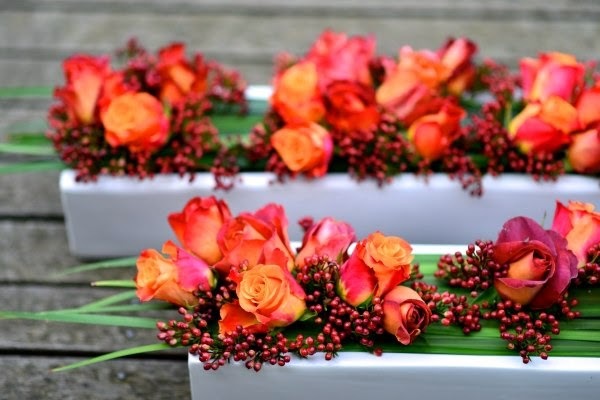 Would like to offer fresh flower gifts to your guests at a budget price? Special floral arrangements for functions, or shop openings. You can also send a voucher to your special person so that Shoso can create a special flower on his or her special day. Please note that we cannot accept an urgent order or delivery. Such services include flowers for memorial services or funerals.